Cassie Shea Watson was born in Tyler, TX, on June 6, 1983. She is the oldest of four children; all, of which, are girls. All of their names also start with a C: Cassie, Christa, Cortney, and Catrina. And contrary to the popular belief that the youngest gets away with everything, in this case, Cassie never got in trouble, and, well, the youngest never stayed out of it. Not that Cassie never did anything wrong. She just knew how to get out of sticky situations. She called it spontaneous and creative thinking. Her sisters called it blaming everything on them. All the years of practicing this spontaneous and creative thinking built the foundation, Cassie believes, for her career in acting. It also made payback really harsh when her sisters got older and realized they wouldn't die of a rare toe disease if they joined forces against her. Cassie started her acting career in the 3rd grade as the Little Witch in the play "The Little Witch." Her first solo in a musical was in the 5th grade, when she played Alice in the musical "Alice In Wonderland." She has had many influential teachers throughout her life, one of the most influential being her high school theatre teacher, Travia Steward. Steward inspired Cassie to pursue acting after high school. Cassie attended Tyler Junior College for two years and the University of North Texas for 2 years for a degree in theatre. At UNT, she became involved in the musical theatre program, where she discovered her love for musical theatre. After college, Cassie was the lead singer of a band and spent 6 months doing a variety of cover songs and writing her own music. She was also involved in community and children's theatre for a year, until she decided to try film acting. She went to an extras casting call in Longview, TX, for a film called "Agenda." There, she was cast in the film as a dead girl named Janelle, who haunted the lead character's dreams. What was intended to be a principle role soon became a supporting role for Cassie. In 2007, she won a reality show called "American Princess" on the Women's Entertainment Network. Shortly thereafter, she signed with talent agencies in Louisiana and Texas. 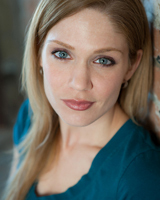 Cassie now lives in Dallas, TX, and works professionally in film, television, and commercials. Copyright © 2019 Cassie Shea Watson. All rights reserved.